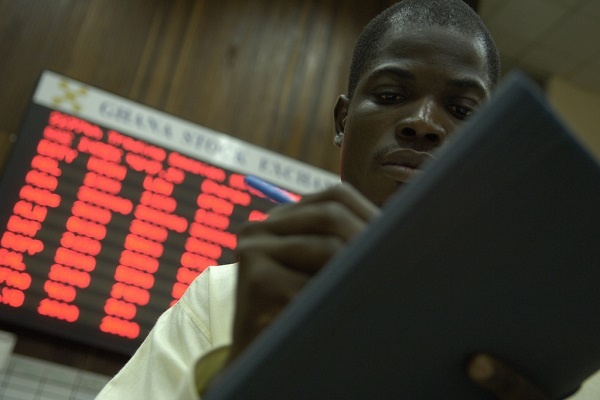 An ongoing crisis in Ghana’s banking sector and a rise in the United States Federal Reserve’s interest rates were some of the factors that stunted the performance of the Ghana Stock Exchange (GSE) in 2018, an annual report has said. The Composite Index of the Accra exchange stood at -0.29 percent in 2018, down from 52.73 percent of the year before. Financial stocks on the exchange lost 6.79 percent in 2018, compared with a 49.51 percent growth in 2017. A banking reform that took out two banks in 2017 and seven more last year has had its toll, not only on the stock market, but also on the labor front, with more than 10,000 jobs gone in a population of below 30 million. Analysts, however, believe the clean-up in the sector will eventually lead to stronger local banks with better corporate governance. The surviving 24 banks have been able to raise 400 million Ghana cedis (81.3 million U.S. dolars), either single-handedly or through mergers and share trade-off. “Securities sell-off by non-resident investors due to profit-taking and rise in U.S. Fed rates was one of the major factors behind the GSE’s market performance,” said GSE managing director Kofi Yamoah. He said the pressure on the cedi from a strong U.S. dollar, which led to an 8.39 percent depreciation of the local currency, was another contributing factor. The GSE, which won the 2018 African Investor Awards as the most innovative African exchange, recorded a 27.2 percent growth in the value of shares traded in the year. Total capital on the market grew 3.98 percent to 61.14 billion cedis (12.49 billion dollars), up from the previous year’s capitalization of 58.8 billion cedis (11.96 billion dollars). Domestic capitalization, meanwhile, surged 59.73 percent to 25.94 billion cedis last year, up from 16.59 billion cedis recorded a year earlier. Yamoah was confident that with the positive rating of Ghana’s performance under the just-ended International Monetary Fund (IMF) Extended Credit Facility program, outlook for the economy is will be positive. “Restoring confidence is a great task and may take some time to achieve,” said John Gatsi, head of finance department at the University of Cape Coast’s school of business.